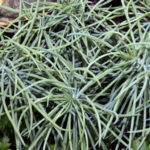 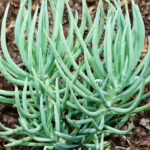 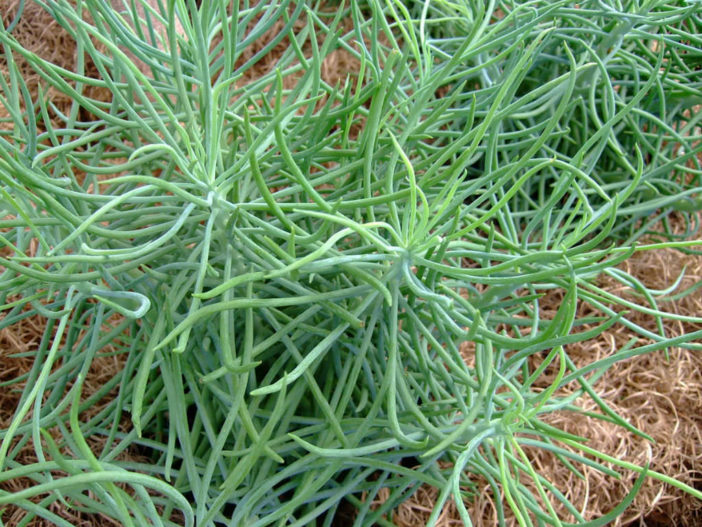 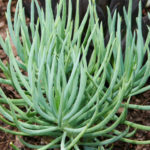 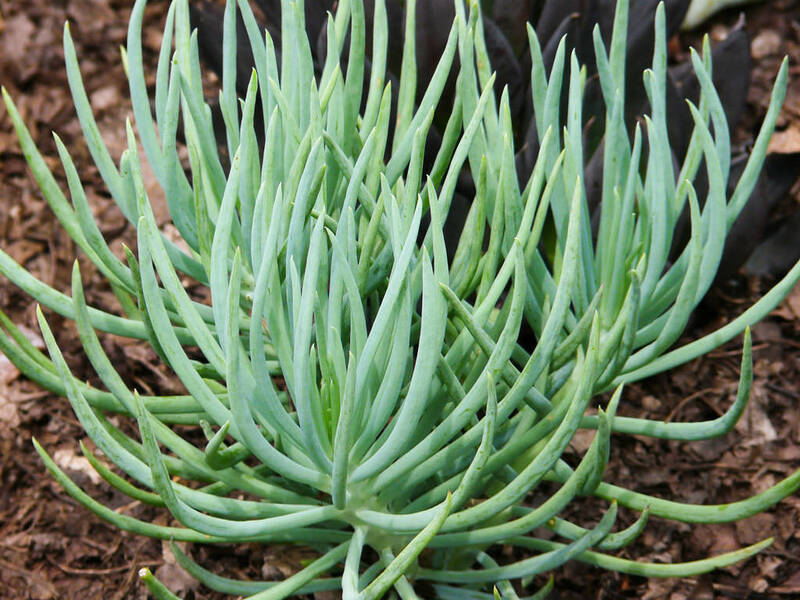 Curio talinoides ‘Serpents’ is an evergreen, perennial, semi-trailing, succulent shrub up to 18 inches (45 cm) tall. Stem is sparingly branched, erect, becoming procumbent and often rooting at the nodes, fleshy and brittle. 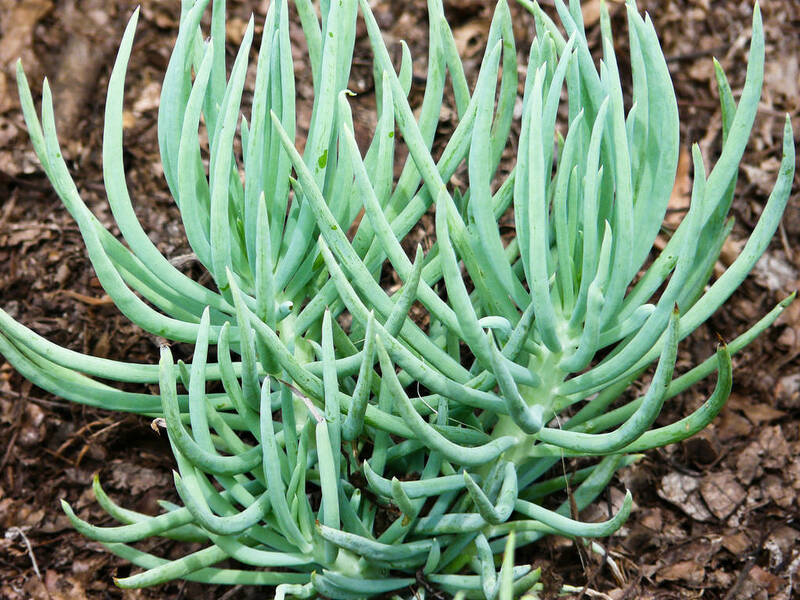 The leaves are slender, light blue-green, up to 6 inches (15 cm) long and up to 0.4 inches (1 cm) in diameter. 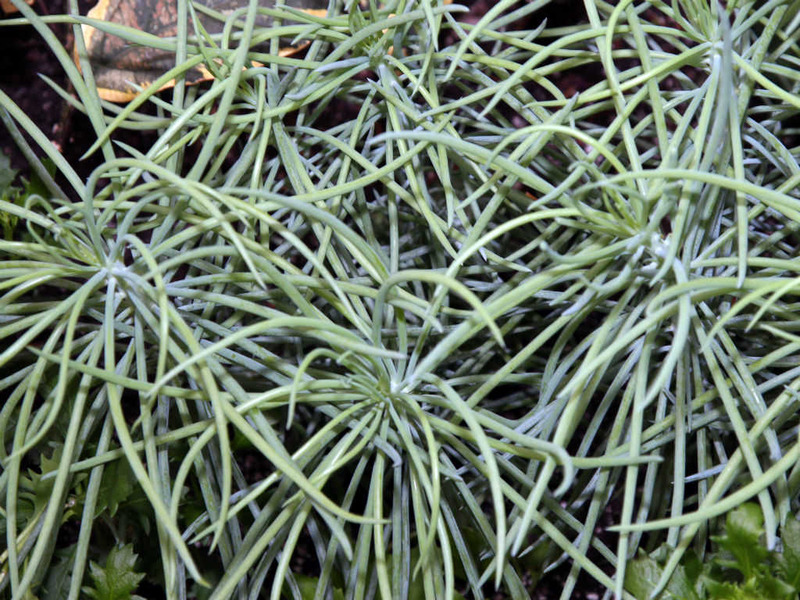 The small flowers are white followed by long thin wind-dispersed seeds.